We’ll also update this post with links to videos of the talks, when/if they are published. 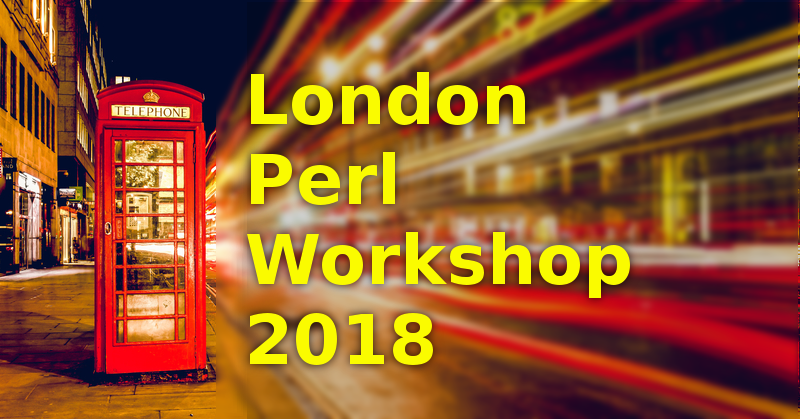 To keep up with these and other Perl events, follow us on Twitter, LinkedIn, Facebook, or subscribe to our newsletter. Tom Metro is founder and Chief Consultant at The Perl Shop. He has been providing software consulting services since 1991 for companies ranging from startups to large enterprises, like Ticketmaster, Shopzilla, and Partners Healthcare. Currently specializing in agile software development using open source technologies, such as object oriented Perl, on medium to large scale web-based applications. Tom also contributes to open source projects and volunteers for local open source related organizations, such as Boston Perl Mongers and Boston Linux/UNIX user group. Not that it really matters, but I’m pretty sure that Mohammed’s post came first (because he’s always first) and mine was published the day after the other two. Thanks Dave. I used the order that they showed up in my social media feed, but meant to check the timestamps on the blog pages. Looks like Neil (date, but no timestamp) and Mohammad both published on Sunday, and you on Monday. Hard to say which of the two was first on Sunday. (I checked the Last-Modified header, but both show dates 1 or 2 days later.) Like you say, it hardly matters, but I needed some order to follow. I’ll swap the order of the last two. What opportunities are there for Perl in Cloudflare’s serverless environment?